SEO isn’t dead and content marketing isn’t a fad. In fact, today 9 in 10 organizations market with content, and 78% of marketers believe custom branded content will become more important in the next year. With “the next year” being now. 2014. 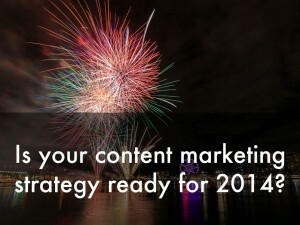 Is your content marketing strategy ready for 2014? 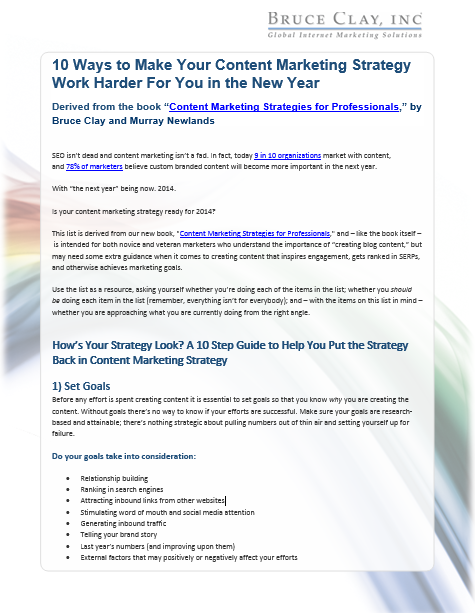 Below is a 10-step kick-start list to get you thinking about your own content marketing and what steps you can take to make your content work harder for you in the new year. 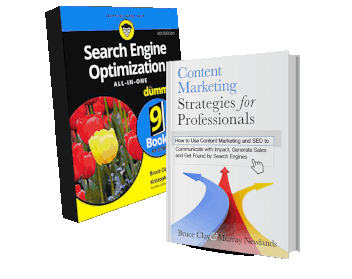 This list is derived from our new book, “Content Marketing Strategies for Professionals,” and – like the book itself – is intended for both novice and veteran marketers who understand the importance of “creating blog content,” but may need some extra guidance when it comes to creating content that inspires engagement, gets ranked in SERPs, and otherwise achieves marketing goals. Use the list as a resource, asking yourself whether you’re doing each of the items in the list; whether you should be doing each item in the list (remember, everything isn’t for everybody); and – with the items on this list in mind – whether you are approaching what you are currently doing from the right angle. For instance: Am I creating video content? Does it make sense for my brand to be making video content? Am I making high-quality video content? Is my video content optimized for search? Does my video represent my brand and clearly communicate its intended message? If you find some holes in your marketing strategy you can download this list as a PDF and highlight trouble areas worthy of followup consideration. If you need help, ask in the comments section or check out our content marketing book where the ins and outs of everything on this list are discussed in detail. Before any effort is spent creating content it is essential to set goals so that you know why you are creating the content. Without goals there’s no way to know if your efforts are successful. Make sure your goals are research-based and attainable; there’s nothing strategic about pulling numbers out of thin air and setting yourself up for failure. All kinds of people go searching for content for all kinds of reasons. What kinds of people come looking for yours? Knowing who is reading your blog, watching your videos, and buying your products gives you valuable marketing intelligence that can help you keep your valued customers. Knowing how to appeal to the preferences of your current customers can also help you create campaigns that are likely to attract more customers like them. You may also find from this research that your current marketing efforts are not attracting the kind of crowd you were hoping for. In that case, you may find yourself using this data to map out ideal target market personas and adjusting your brand presence to attract a more on-target consumer. Used in–house resources like customer service and sales to learn more about your current customers? Leveraged your web and social analytics for data about the gender, age and location of your engaged audience? Had in-house discussions about the habits of your ideal consumer? 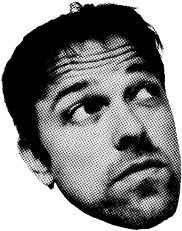 Created internal-use persona profiles that include names and photos? Before you start reinventing the wheel, it’s a smart idea to survey your current content efforts to get a sense for what’s working and what needs work. This is often called a content audit and can be as in depth or cursory as you like. Does your content show signs of longevity? Is it still seeing engagement or traffic? Is your current content meeting the needs of your customers? What patterns do you see? Is there a certain theme or topic that always gets a traffic or engagement spike? Your blog enables you to consistently give something to your customers and the community. It builds trust and familiarity with your brand, and it functions as part of your sales funnel anytime a prospect visits your website looking for more information. Your blog should also be a critical part of your SEO strategy. Your blog titles: are they optimized? Do they catch your target market’s attention? Your on-page SEO; does your blog target a keyword phrase, or an idea based on a keyword phrase? Video offers the most personal form of interaction a brand can have with customers short of being in the same room with them. 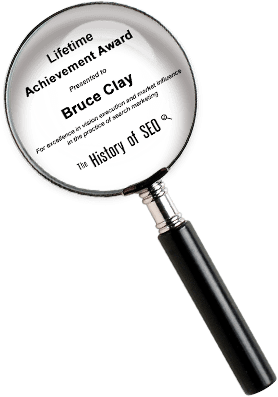 Plus, it’s a highly sought-after medium that is great for SEO, and — plain and simple — some subjects are just better explained with video. Great content marketing photos tell a story, have a message and compel people to take action. Any photo that is part of your content marketing should do a little of each. Images are an excellent engagement tool and they should be used readily in your blog posts and your social media campaigns. Consider asking fans, customers and other people who follow you to help tell your story from their point of view. Whether you’re attending them, sponsoring them, or throwing them, events are an incredible opportunity for you to lead or create the storyline. Having active networks can help get your messaging, personality, branding and products in front of more of the right people at the right time. The trick is to use social media as a community tool, not a broadcast tool. Amplifying your organic social media efforts with social media advertising? Reflecting your brand personality in your content? Taking advantage of Facebook apps to help your SERP representation? Creating content that is shareable? Using social media to offer better customer service? Considering how your social efforts may affect your SERP rank? The terms “paid,” “earned” and “owned” media describe the different ways content is created and distributed online. Paid media can easily integrate with nonpaid (earned and owned) content marketing efforts to make all three more effective. Thinking of paid, earned and owned media as separate buckets, or integrated efforts that play off one another? Using paid media to help your organic (or “owned”) content get in front of a larger target audience? Using paid media to analyze the CTR of potential keyword phrases? Utilizing sponsored tweets or other social media promotions to get your social media content in front of more people? Running paid ads for keywords you rank organically for so that your paid ads will run next to your organic listings? To do content marketing right requires thinking before you do, and considering why you are doing what you’re doing. As we put it in “Content Marketing Strategies for Professionals,” it’s about taking a big-picture approach; self-reflection; goal setting; getting to know the people you’re talking to; learning the nuance between engaging content and blast marketing; being proactive rather than reactive; and understanding that before your content can make an impression it has to be discovered. 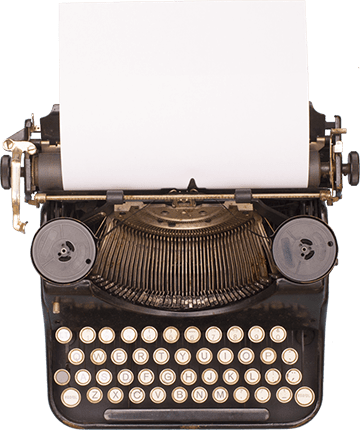 This reference list is intended to get you thinking about content marketing like an iceberg with miles of possibility lying just underneath the surface. 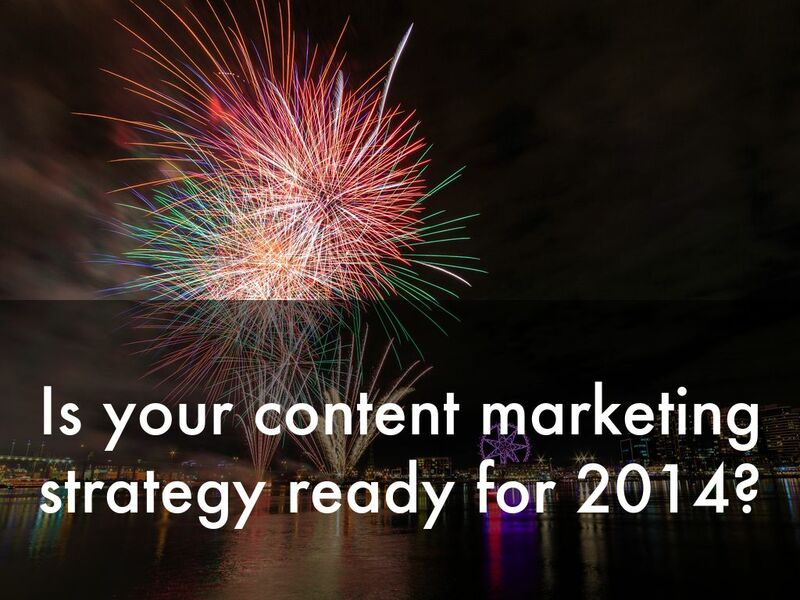 How do you plan to make your content marketing strategy new and improved for 2014? This may in fact be my favorite. Going a step further on this notion, even my emails are straight to the point. I offer a greeting; say what I need, why I need it and how the person can get it for me. Time is money; I haven’t got time to create a narrative of my request and neither does my reader. These are very awesome tips on effective content marketing. Am surprised this post isn’t getting as much buzz as it should get. I found it shared on Kingged.com and I think it’s a truly KINGLIKE post… one worth bookmarking to refer to again and again!